Campo Sheet Metal Works has a variety of metal press brake and folding machines that allow us to offer our client base extensive capabilities in metal forming with quality that is second to none for the Gulf Coast region. 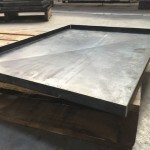 CSMW has the capabilities & experience to form cones, transitions, channels, angles and a large variety of other components all in a variety of sizes. 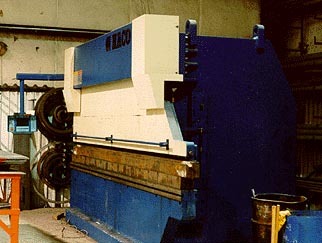 CSMW specializes in the complicated press brake formed transitions. If required, Campo can assist with the layout and design of fittings. Whether your requirements are formed angles or complicated transitions Campo can provide quality formed components in a timely manner. CSMW has 4 press brakes and 2 folding machines in operation. 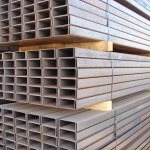 CSMW has the capabilities to handle up to 16′ of 3/8″ A36 steel, but can form heavier plate in shorter bend lengths. YSTAD up/down folding machine 16′ long, 1/4″ A36 capacity. Please allow us to assist you will all your press brake forming needs. Please attach any documents to assist us in providing the best service to you as possible.